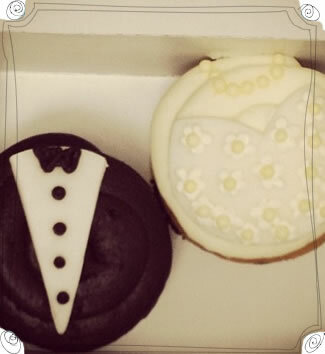 I’m getting married and I’d like to have cupcakes at my wedding. What are my next steps? 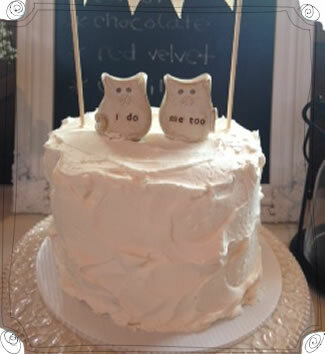 First, let us know the date of the wedding and we’ll check to see if we have availability. 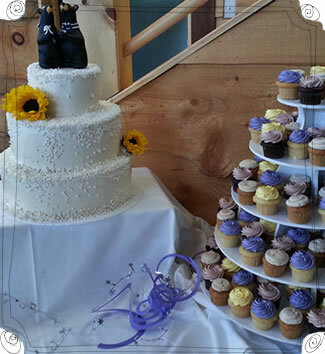 Next, review our Wedding Pricing Guide – it gives details on prices, flavor and decorating options and delivery and set-up. The last step would be setting up a complimentary tasting. How do I set up a complimentary tasting? 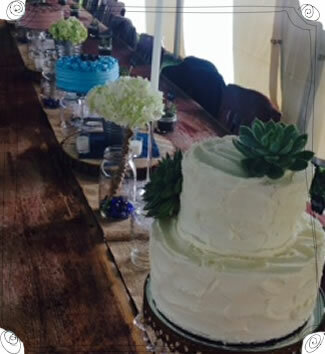 Please email weddings@icmollys.com to schedule a tasting. We ask that tastings are held with a credit card and if not cancelled within 24 hours of appointment the card will be charged $25. 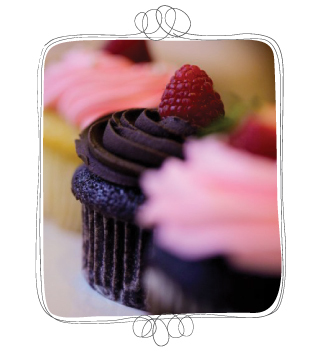 At the tasting, you will be able to try our 5 classic Molly flavors and 2 to 3 center-filler varieties. 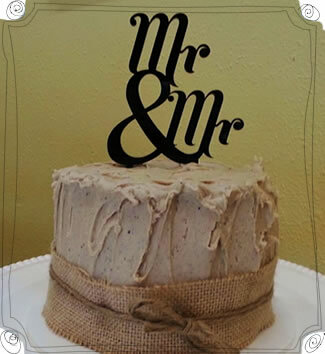 Do you give discounts for wedding orders? 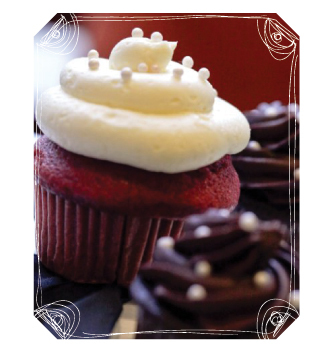 We always have our standard discount – for every dozen Molly or center-filled cupcakes you purchase, you get one free. For example, a dozen Molly’s at $2 a piece would cost $24 but we only charge you $22. 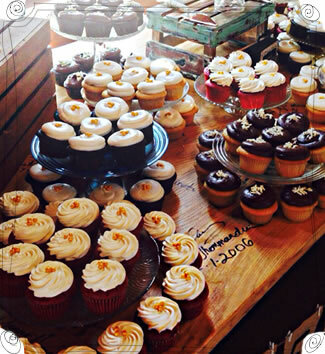 For every two dozen Mini cupcakes, you get one cupcake free. 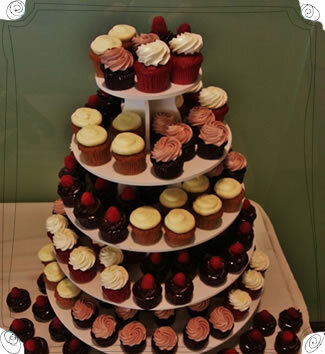 Do you rent cupcake tiers? 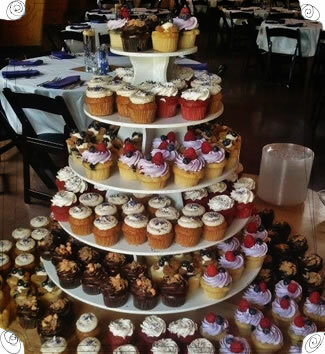 No, we do not rent out cupcake tiers. 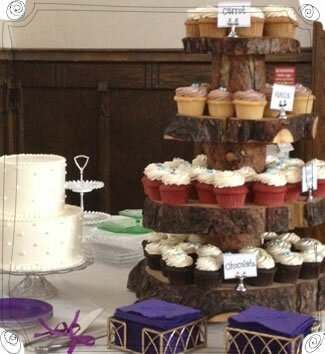 We have had many people tell us that cupcaketree.com or amazon.com offer a wide variety of tiers for your special day. 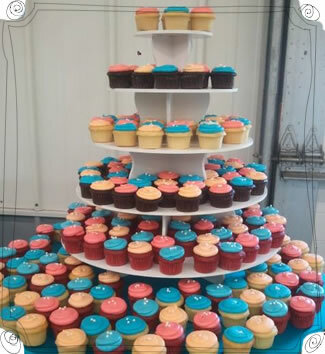 Do you deliver or set-up cupcakes? 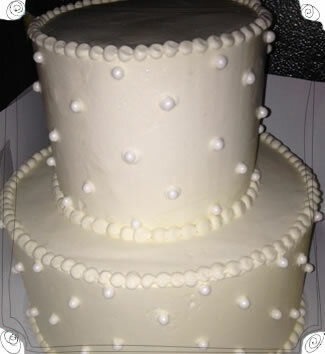 We deliver within a 25 mile radius of the bakery for up to $45. We also deliver to some locations outside of the city but expect a higher rate. Please email us the zip code and we’d be glad to give you an exact quote for delivery. Set-up is available for an additional $25. I’m having 150 people at my wedding. What do you recommend? 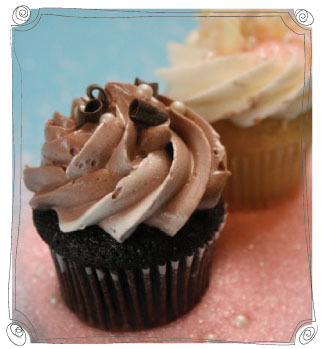 We typically suggest a mixture between 3 to 4 flavors. 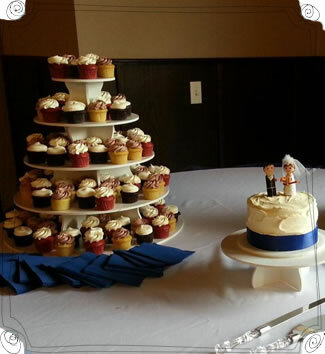 Some couples really like the idea of minis and typically order 1.5 per guest. 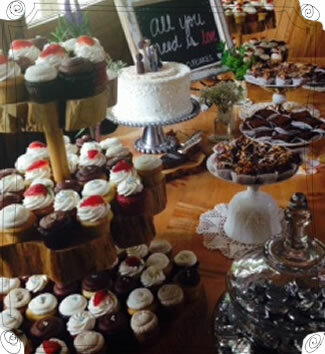 Other couples like an assortment of Molly’s with multiple types of cake as well as frosting. 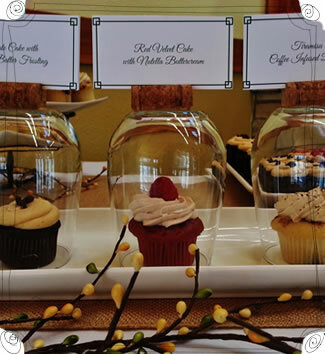 Others like to pick a few center-filled flavors and treat their guests to some of their favorites. 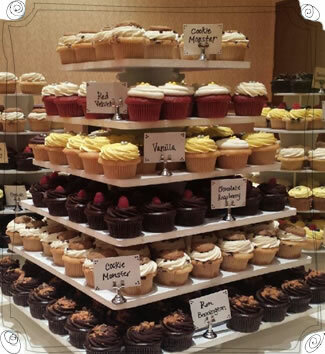 Or you can do a mixture of all three types of cupcakes! 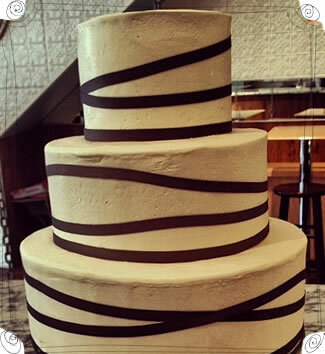 It’s your day and we’ll try to work with you to have it be exactly what you want. 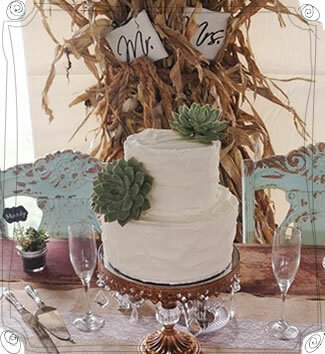 How can we make our cupcakes unique to our wedding and us? 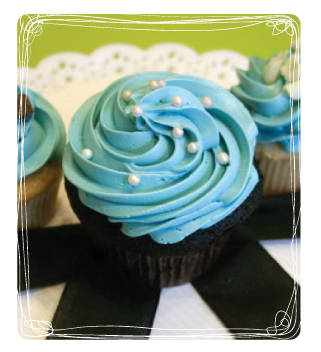 We offer many ways to make your cupcakes special. 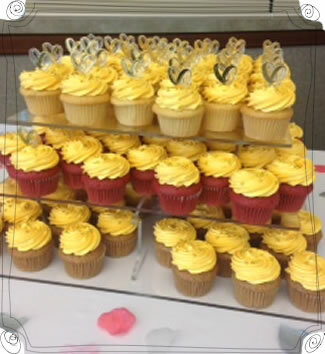 You can have the cupcakes match the colors of your wedding or add some white sugar pearls or dark/white chocolate curls to give them a classy touch. 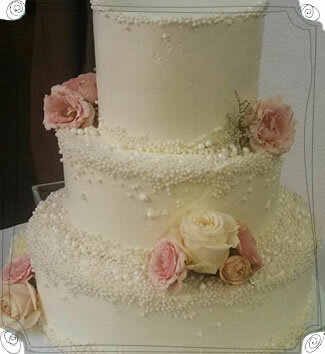 View our Wedding Pricing Guide for prices. 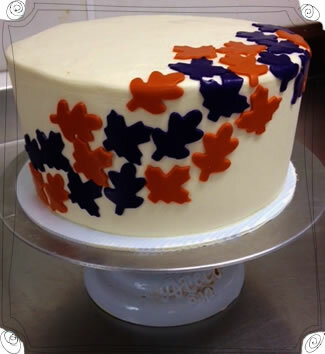 We do also accept some special requests such as fondant decorations or cupcake wrappers, please contact us for more details. 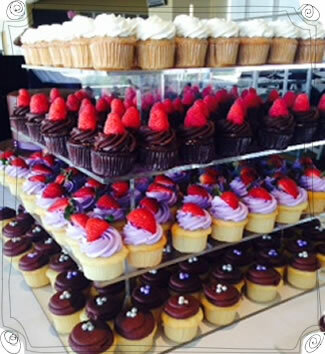 We’d like to give the cupcakes away as wedding gifts to our guests, do you offer individually boxed cupcakes? Yes! 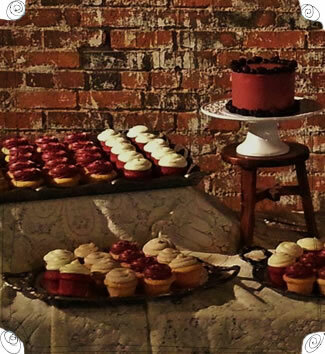 We charge an additional $2.00 per cupcake (box and boxing fee). 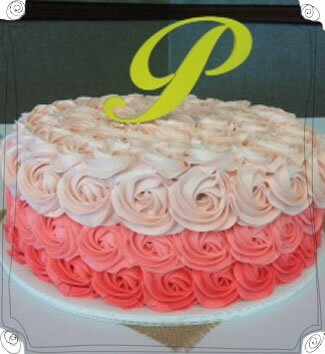 Do you sell cakes too? 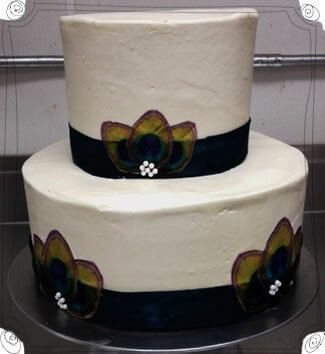 Yes, we can make almost any cupcake into a cake. 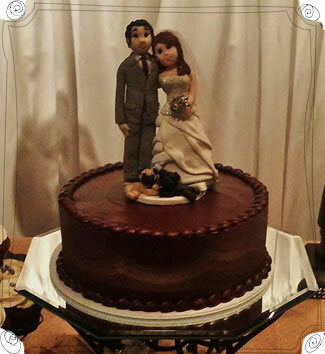 Please see our Wedding Pricing Guide for sizes and prices.